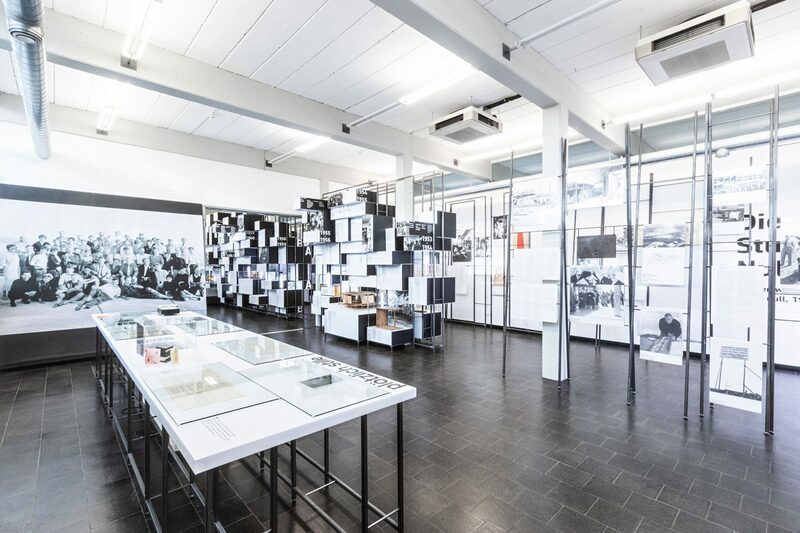 «The Ulm School of Design – From the Zero Hour to 1968», is the title of a new permanent exhibition on the history of this legendary academy presented by HfG-Archiv / Ulmer Museum. During its existence between 1953 and 1968 the Ulm School of Design became one of the world’s most influential academies for designers. Here such iconic designs as the Ulm stool and the stacked tableware TC 100 were made, and also the Braun company’s radio-phono combination SK 4, known as «Snow White’s coffin.» The «ulm model» that was developed at the HfG was a design concept based on science and technology, and it sets standards to this day. 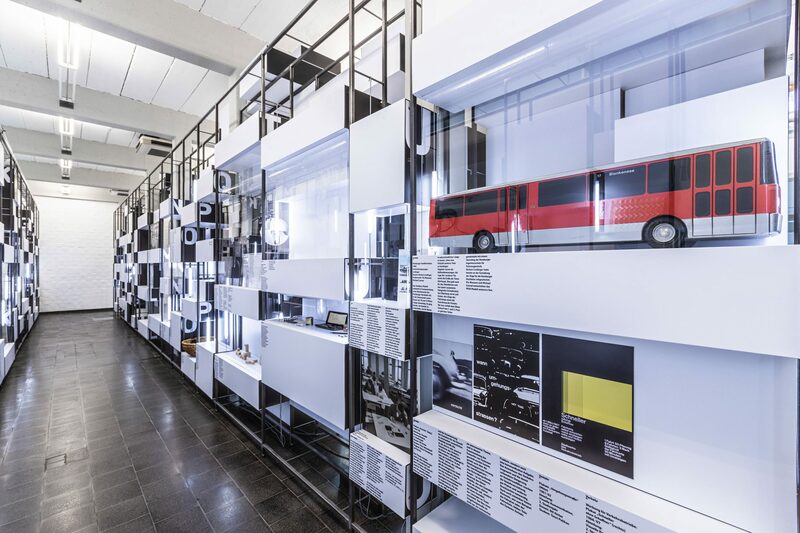 The new presentation covers around 275 square meters and includes more than 200 exhibits and numerous photographs from the comprehensive inventory at the HfG Archive in Ulm. With this rich collection of works and documents and the proximity to the former Ulm School premises, Ulm is the only place where the history of the School can be experienced in this way. The exhibition design was done by Ruedi Baur and his team from the Laboratoire Irb Paris. Their aim was to bring the archive to life. The exhibition is divided into three main sections, beginning with a quick presentation of the key features of the immediate postwar «Zero Hour» and the years before the Ulm School was founded. The core of the exhibition design is two large shelf components. 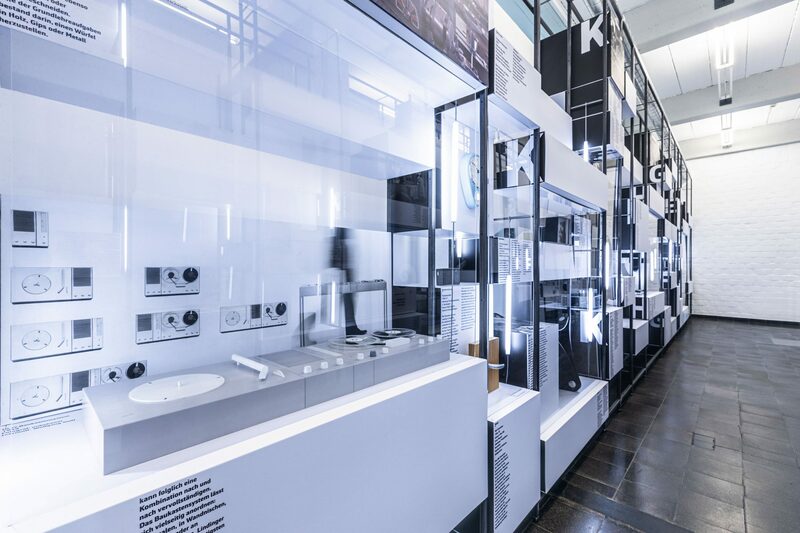 The first shows the history of the Ulm School chronologically, together with designs, models, and projects from these years. The second shelf presents selected concepts and themes alphabetically from A to Z, all of which help to understand a wide range of issues associated with the Ulm School. The founders of the School, Inge Aicher-Scholl, Otl Aicher, and Max Bill, are also featured in the exhibition. Two large tables are dedicated to temporary exhibitions. For the new opening, these will be used as large «newspapers» showing interesting examples of how the press reported on the Ulm School. Since 1993, the HfG Archive has been a department within the Ulm Museum. The Archive had been set up back in 1987, with the assistance of former Ulm School students. In 2011 the HfG Archive moved to premises in the former Ulm School of Design building at Am Hochsträß. 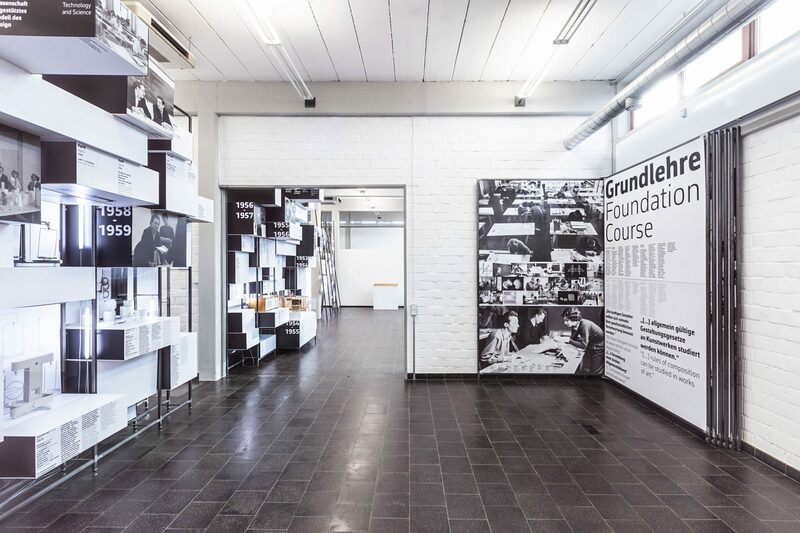 The exhibition space has now been expanded, and from fall 2013 the HfG Archive will be able to present the history of the Ulm School in our new permanent exhibition with more scope than has previously been possible. The exhibition is supported by the Department of Culture and the Media of the German Federal Government, the Ministry of Science, Research and Art of Baden-Württemberg, and the City of Ulm.